After approaching two months of talk of a "full" and "immediate" US troop withdrawal from Syria, first ordered by President Trump on December 19 — which was predictably met with swift and fierce pushback from beltway hawks including in some cases his own advisers — it now appears the death knell has sounded on the prior "complete" and "rapid" draw down order. 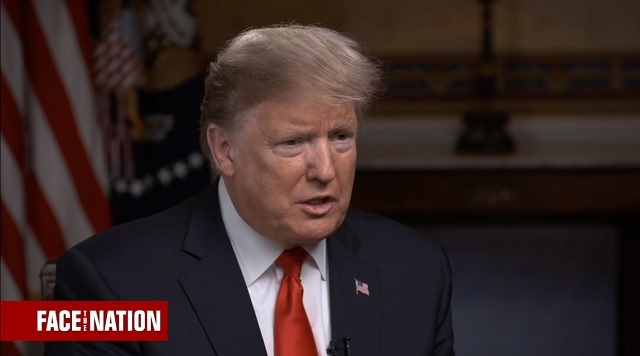 Trump said in a CBS "Face the Nation" interview this weekend that some unspecified number of US troops will remain in the region, mostly in Iraq, with possibly some still in Syria, in order "to protect Israel" in what appears a significant backtrack from his prior insistence on an absolute withdrawal. “Look, we’re protecting the world,” he added. “We’re spending more money than anybody’s ever spent in history, by a lot.” Trump's slow drift and change in tune on the subject of a promised "rapid" exit comes after Israeli officials led by Prime Minister Netanyahu alongside neocon allies in Washington argued that some 200 US troops in Syria's southeast desert along the Iraqi border and its 55-kilometer “deconfliction zone” at al-Tanf are the last line of defense against Iranian expansion in Syria, and therefore must stay indefinitely. However Trump's invoking Iranian influence as a rationale for staying further contradicts his prior December statement that the defeat of ISIS was "the only reason" he was in Syria in the first place. Though it remains unclear just how many troops could remain as the majority possibly begin to pullout toward US bases in Iraq, the Tanf base could remain Washington's last remote outpost disrupting what US defense officials see as a strategic Baghdad-Damascus corridor and highway, and potential key "link" in the Tehran-to-Beirut so-called Shia land bridge. 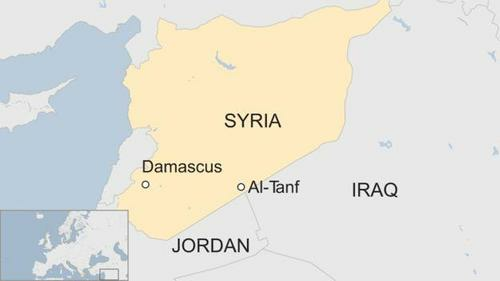 "Al-Tanf is a critical element in the effort to prevent Iran from establishing a ground line of communications from Iran through Iraq through Syria to southern Lebanon in support of Lebanese Hezbollah," an unnamed senior US military source told the magazine. The Israeli prime minister has pushed hard against the White House pullout plan, and "has repeatedly urged the U.S. to keep troops at Al-Tanf, according to several senior Israeli officials, who also asked not to be identified discussing private talks," per Bloomberg. The Israelis have reportedly argued "the mere presence of American troops will act as a deterrent to Iran" even if in small numbers as a kind of symbolic threat. The internal administration debate, following incredible push back against Trump's withdrawal decision, has made entirely visible the national security deep state's attempt to check the Commander-in-Chief's power. And now US presence at al-Tanf represents the last hope of salvaging the hawks' desire for permanent proxy war against Iran inside Syria. It appears the deep state has won out over Trump's initial policy decision once again; but it remains to be seen if, however slowly on what's clearly a delayed timetable departing from his original plans, all US troops ultimately exit Syria. Until then there'll be more time and perhaps more provocations the hawks can rely on to effectively ensure full circle return to indefinite occupation in Syria.